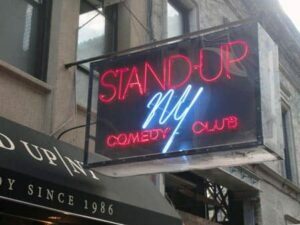 At Broadway Comedy Club in Midtown Manhattan you’ll get to see the rising stars of comedy. Talented comedians who performed at this venue later appeared on Comedy Central and Letterman, to name a few. When you visit Broadway Comedy Club you won’t be disappointed, as every show provides four headliners. This venue has a two drink requirement.